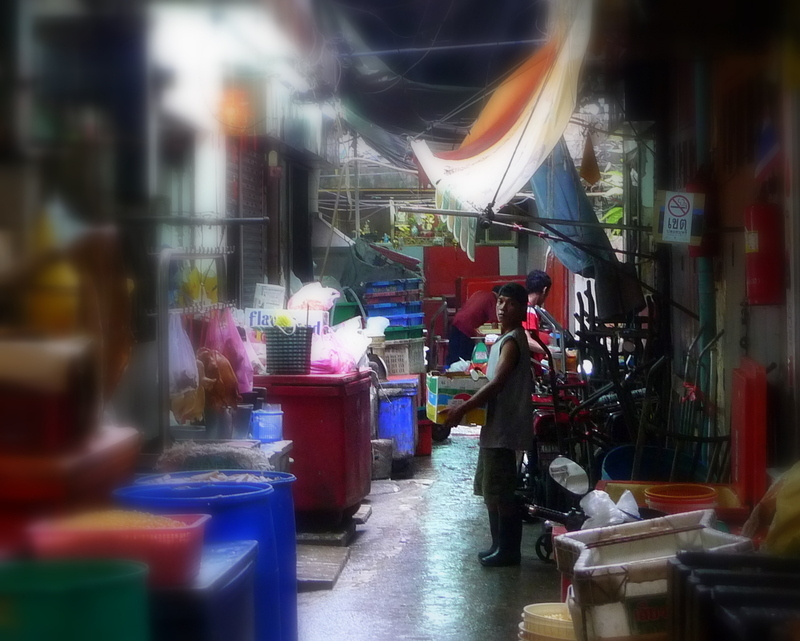 This entry was posted in Uncategorized and tagged Bangkok, Chinatown, Krungthep, Market, Old Market, Thailand, Wet Market, Yaowarat by christao408. Bookmark the permalink. Very interesting photos you have here, Chris! I wonder why they have to shave the pig’s head? You guys did not venture into the gold merchants this time? Awesome, I like these mini adventures you take “us”. 😉 Have a good day, or night, I’m not sure the time there but whatever is the case have a good _______. I love the photos. 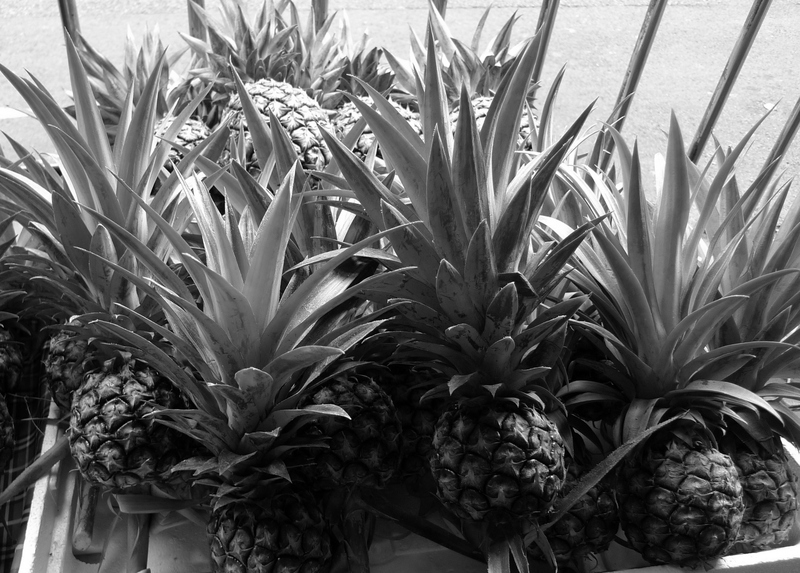 We have a “farmers’ market” Saturday mornings in the center of town. You got to be there early to get the fresh fish and veggies and fruits. Honeydew melons were $.50 a piece compared to 2 for $5 at the local Publix market. I shop at the market there on Saturday and then Wednesday afternoon at another one set up on an historic park. I just have to be careful not to spend too much money. The Wednesday afternoon has beautiful crafts! Could not find a shaved pig’s head. 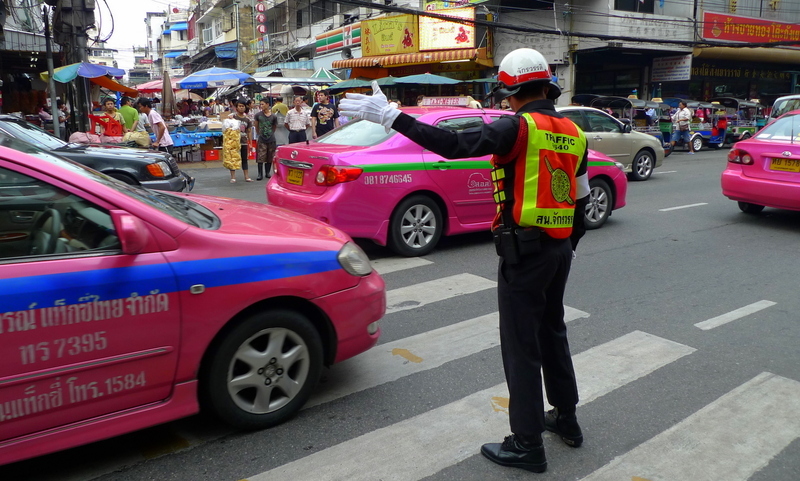 The pink taxis are so cute… can’t say quite the same about the pig head and the fish bladders. Can you believe the colour of those taxis?? The Ginko nuts, is that their real size, or did you zoom into them? Very educational Chris. My favorite Chinatown that I’ve ever been to is the one the in San Francisco. I had some of the best hot and sour soup there that I’ve ever had. I would have been there probably about 6 or 7 years ago. 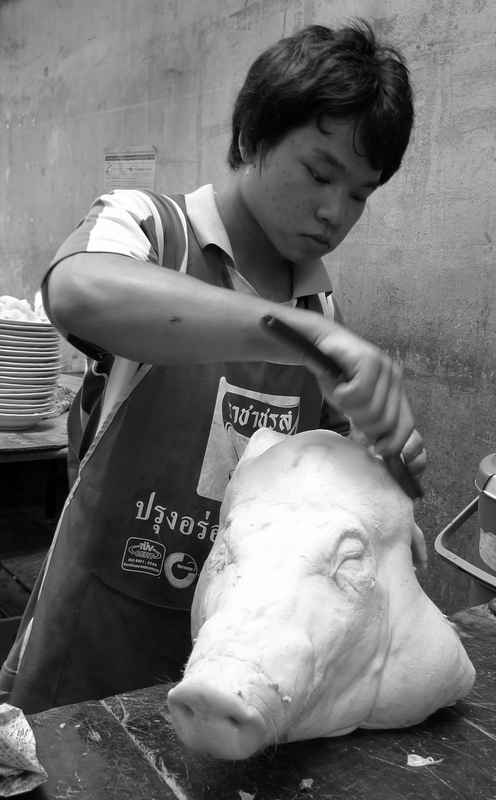 Thank you for sharing the great photos.I used to love pig head meals, the noses, ears, and tongues. 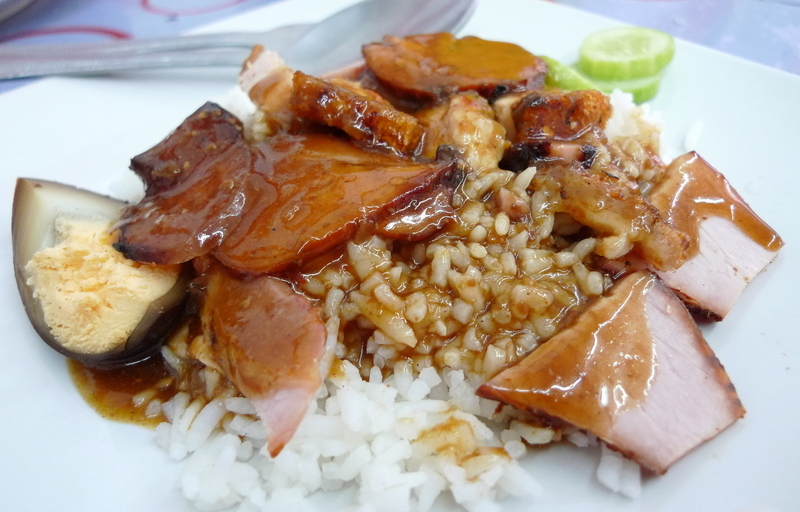 lol….YUM!I don’t know when I can have a trip to China, but definitely, I will spend a week in Thailand! The dish looks great. 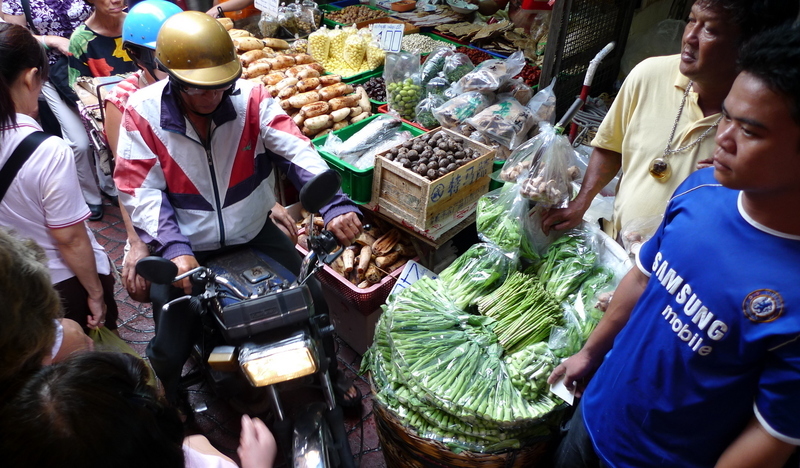 And the man does not look 82 at all!Motorbikes shouldn’t be allowed in the markets. Tsk tsk. Those baracuda fish look humungous! And 82, that man definitely has some secret elixir of life he’s drinkin’. He definitely looks a lot younger… I guessed pig stomach for those things hanging so I was close!! Thanks for taking us with you on your trip :)I agree with the comments right above me. That man looks like he’s in his 50s. His dish looks really good! sigh… this really makes me miss chinatown, which we don’t have in baltimore. it’s really sad not to be able to get so many things that i want to cook with and eat. that plate of char siu and roast pork looks so good! 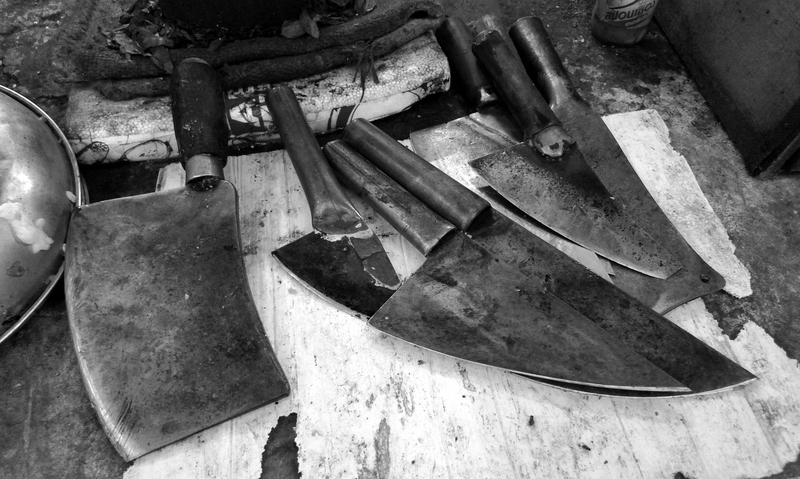 @CurryPuffy – You shave the pig’s head to remove the bristles, since those aren’t edible. That’s my understanding, at least. @NVPhotography – @Senlin – Glad you enjoyed it. @Fatcat723 – I’m glad that there are more and more farmers’ markets type of events in the US, helping people connect more with their food and their food producers. Great value plus you cut out the middleman. @Dezinerdreams – Our taxis are very colorful here. @Wangium – My one concern, especially around the vegetables, is that the vendors can’t usually speak to how things were grown/raised. Pesticide (over)use is a problem here in Thailand and so I’m concerned about buying from a source that doesn’t know these things. When it comes to the meats, they are probably a little better from the local market and more likely raised in a way that doesn’t resemble a factory farm. 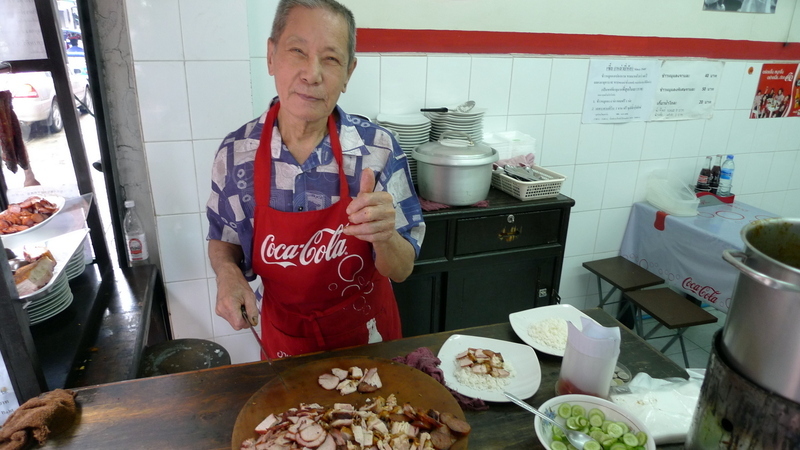 @brooklyn2028 – I’m assuming he eats his pork and rice every day and that sauce must be the elixir of youth! 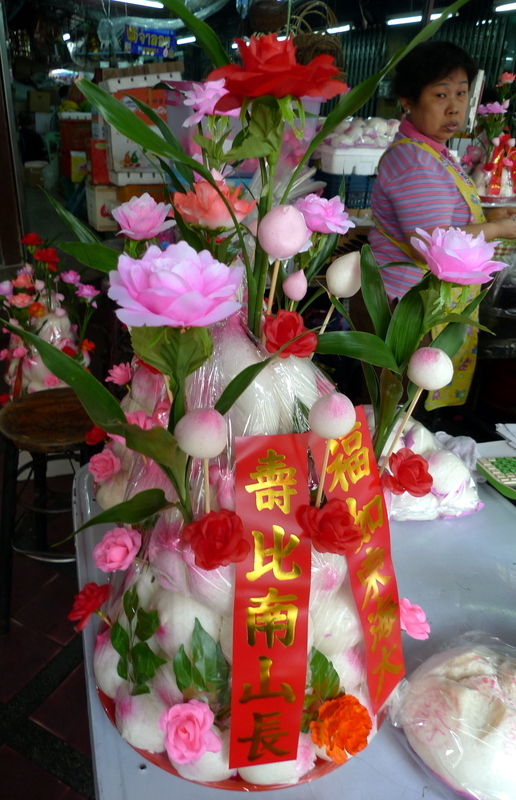 @kunhuo42 – Sadly, chinatowns in many, but not all major cities… Can I send you anything? @yang1815 – “Not allowed…” Ha ha…. words that don’t exist in Thai, or at least are certainly not understood. @foggysunnymorning – Just a short trip from China…@TheCheshireGrins – The one in SF is very vibrant, too. The soup sounds tasty. 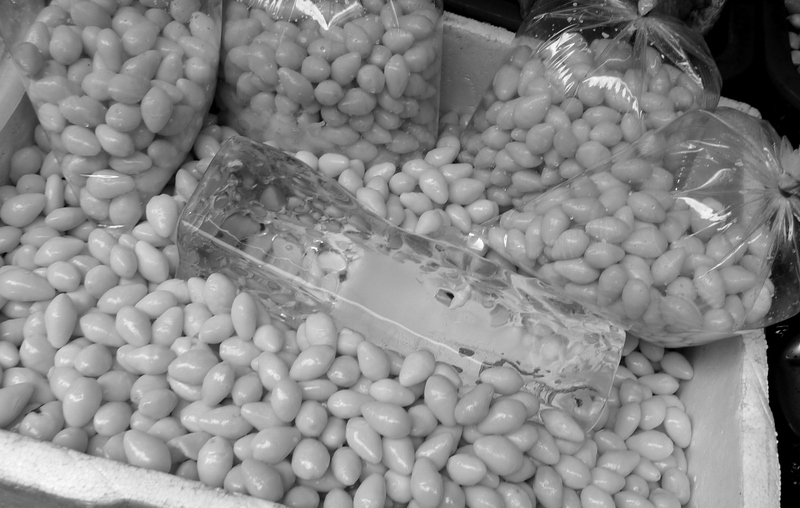 @ZSA_MD – The ginko nuts are their real size. To put it in proportion, the block of ice is about 7-8 inches long. 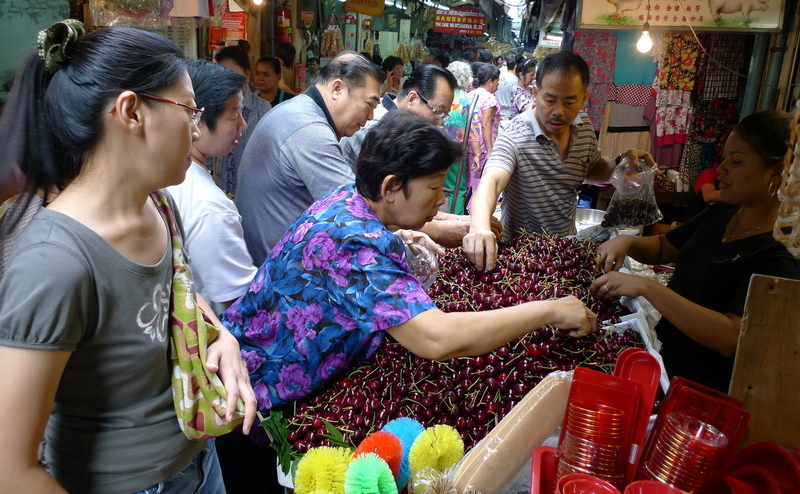 I didn’t realize cherries grew in Thailand, or are those shipped in from some other location? It doesn’t make sense that they would be, but…. We really enjoy the locally grown foods that we buy at our local farmer’s market and the meat I purchase from a local meat market. 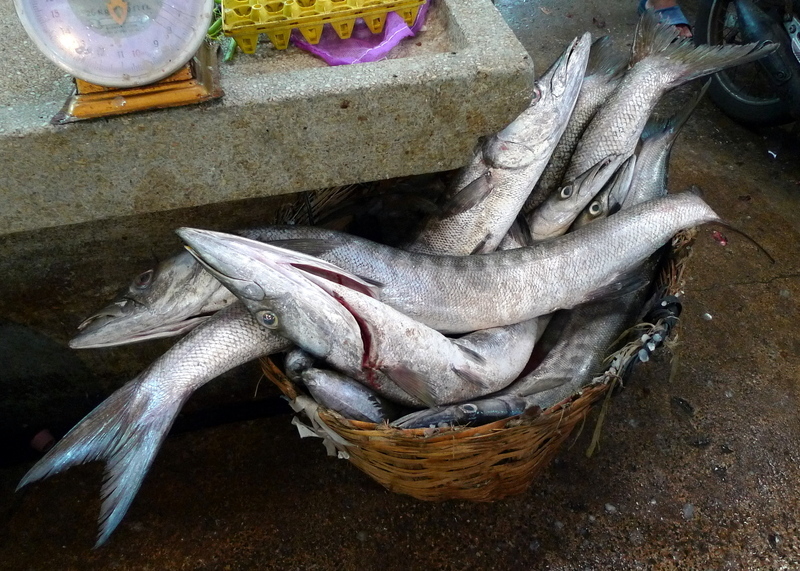 Sadly, we’re too inland for fresh fish unless one has a fisherman friend. Well, cherries and toilet brushes really go together well. 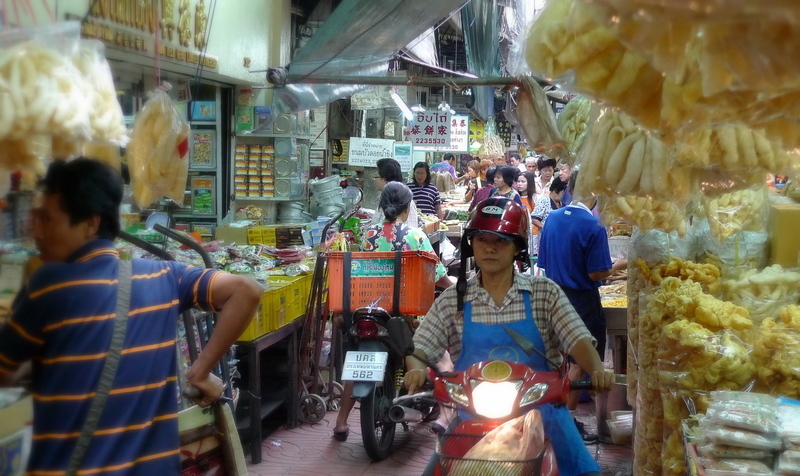 I like these markets as they present ample of photo opportunities but they can be exhausting to walk around. I loved this tour! 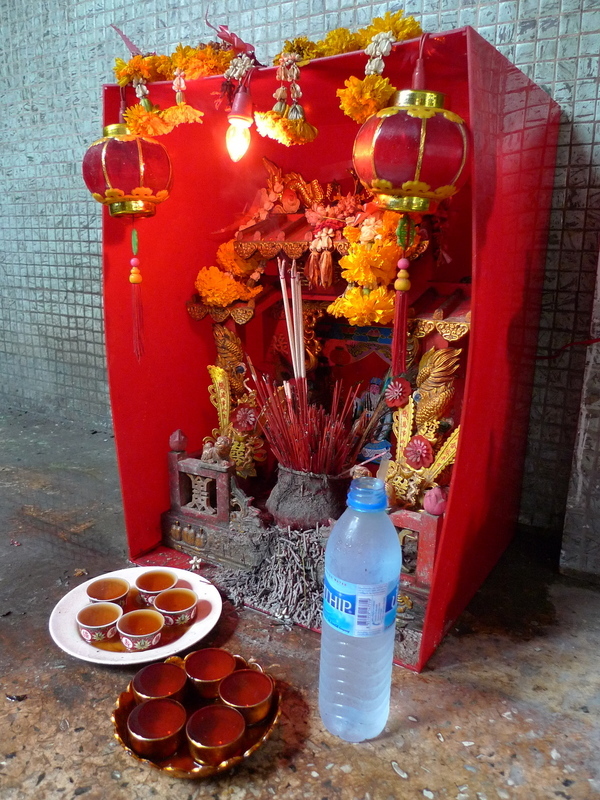 In the photo under the Chinese shrine in the car park, what are the long green things in the second basket? They look like huge okra! @murisopsis – Some sort of melon/gourd thing. 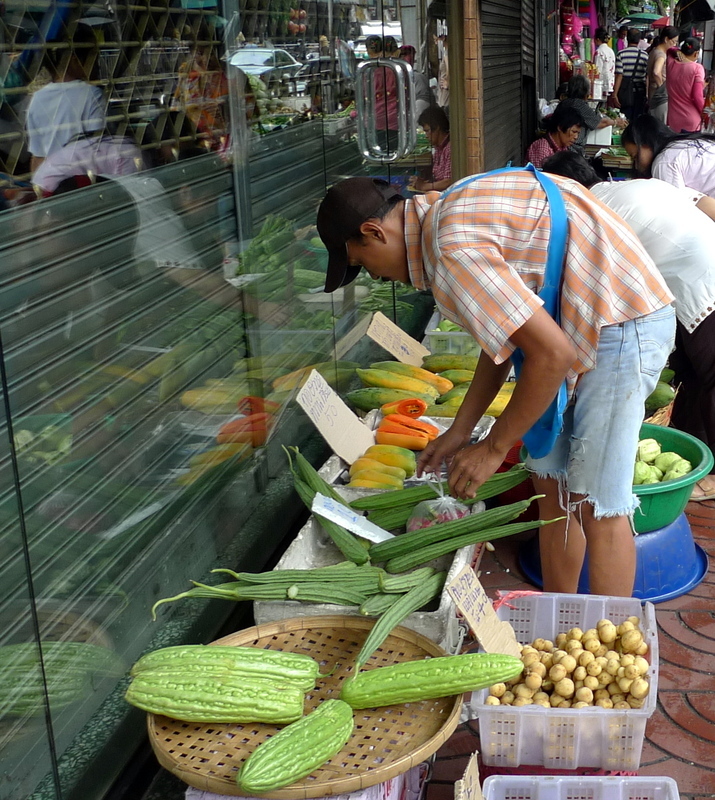 The ones in front of them are bitter melon, but I don’t recall the name of the ones that look okra-like. @beowulf222 – This is definitely the place for someone who likes taking photos – you just have to be careful not to upset all the people trying to get by you! @jandsschultz – The cherries are from China, I think. I have a thing for Thai and other Asian food. Thanks for sharing this experience. @christao408 – haha i appreciate the offer, but that would be one expensive shipping cost! besides, my parents send me things already, but there are some things you just can’t ship. Quite an interesting place there! 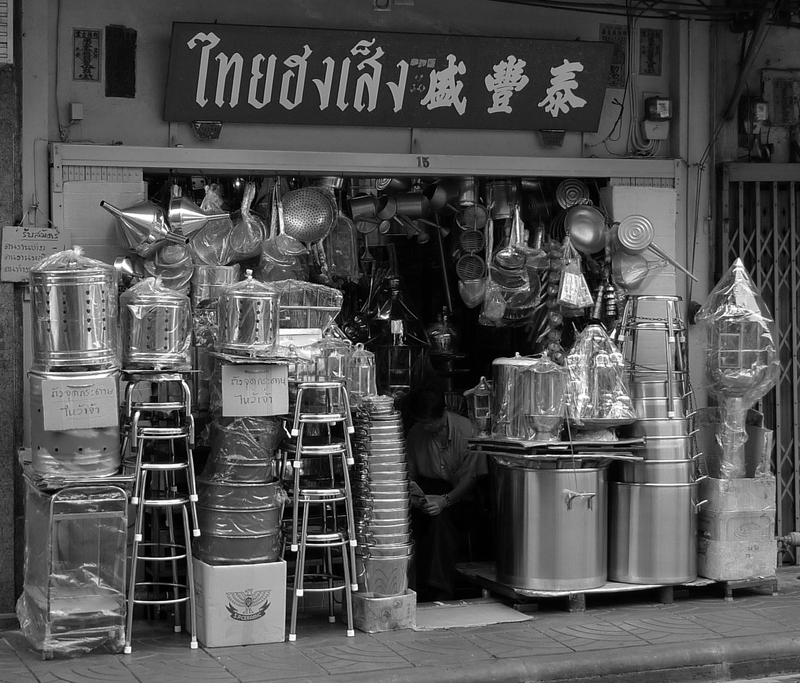 Reminds me a bit of our Pike Place. @Dezinerdreams – Fish bladder is actually not as gross as one may imagine! @Poomsira – They are better when called “fish maw”, I think. 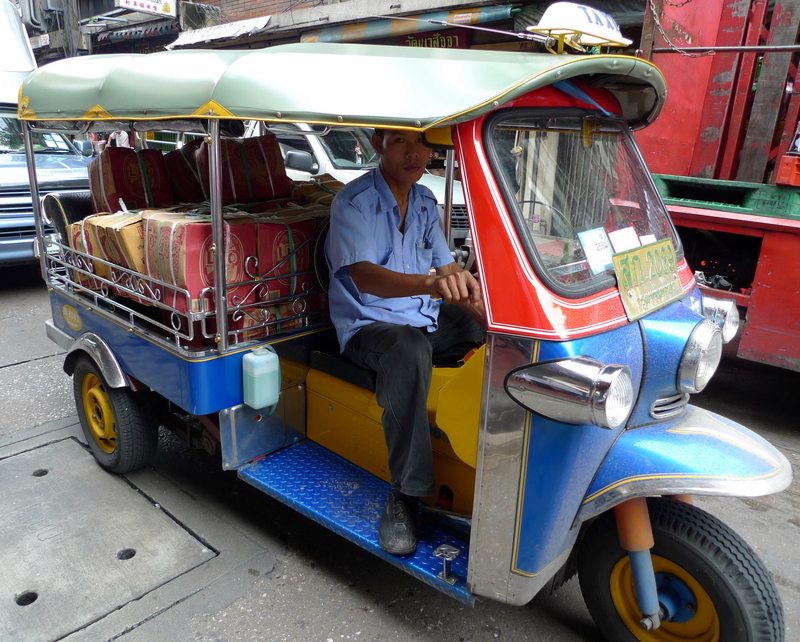 It is all in the marketing…@AzureRecollections – One of the many things I try to accomplish with this blog is to show slices of life in Thailand that go outside the normal tourist/foreigner perspective. @Ampbreia – Somewhere I love. Pike Place is a lot… cleaner, more organized, less chaotic, more expensive. (pick any four) Thank you for subscribing. @VampireEdwardCullen – You’re very welcome, and thank you for recommending the post. I love the tour! I can practically feel the tropical heat combined with the smell of the market, the sounds of the vendors and clients, the hustle… what a great entry. I love going to these places when I’m traveling. 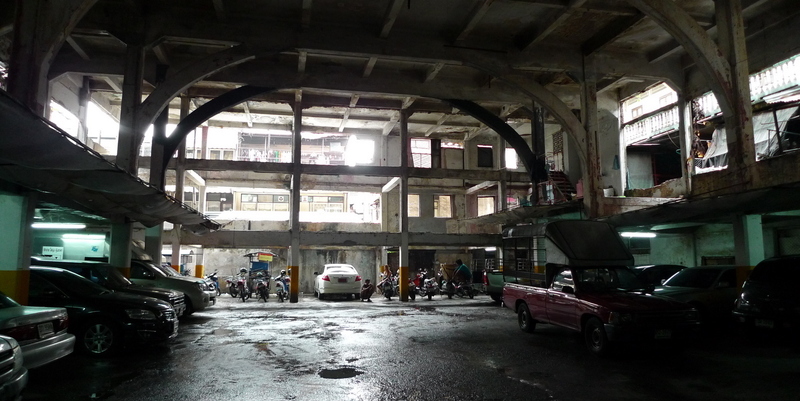 It’s nice to go to the big malls and touristy stuff but this is where I can learn a lot. 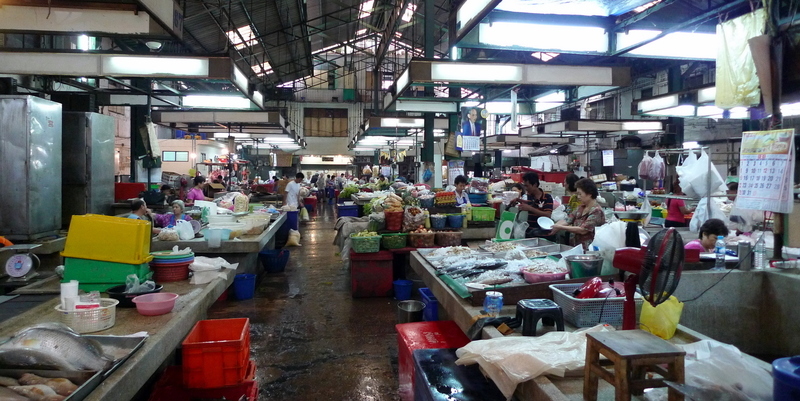 @ElusiveWords – That is true – you’ll get a much better feel for a place at a market like this than you will at a mall. As for the heat, we were there early in the morning and have actually been having some (relatively) cool weather, so it was not unpleasant. @A_NY_Zone61 – Thank you; I’m glad you enjoyed them. Thanks for commenting. Yum, the last photo of the roast prok made my mouth water.